Donna's Designs: Happy Birthday America! As we head into the long 4th of July weekend, together with thoughts of parades and fireworks, my mind is turning to patriotism and national pride. July 4th is a great time to get together with family & friends, wear our red, white & blue and display our flags, but please remember to take a few moments to think about what it is we celebrate. I want to thank our Armed Forces for stepping into danger for the sake of others every day of the year. God bless our troops! So whatever you have planned this 4th of July whether it be a barbecue, listening to brass bands playing marches and toe-tapping tunes enjoy yourself and think about your freedom. Awesome card Donna..Perfect 4th of July card and wonderful design. 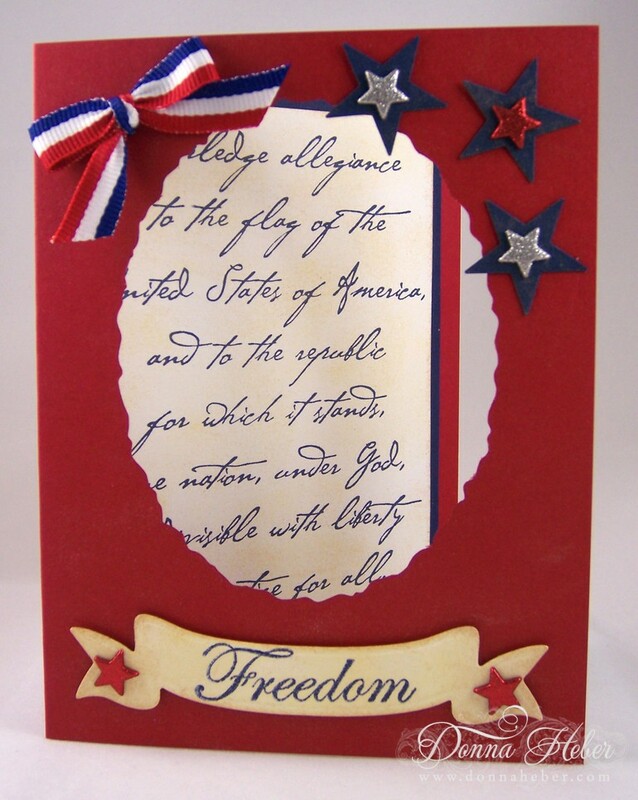 A striking card as a tribute to your 4th of July celebration Donna. Happy 4th to you also. Love the card. Your card is superb! Happy 4th! 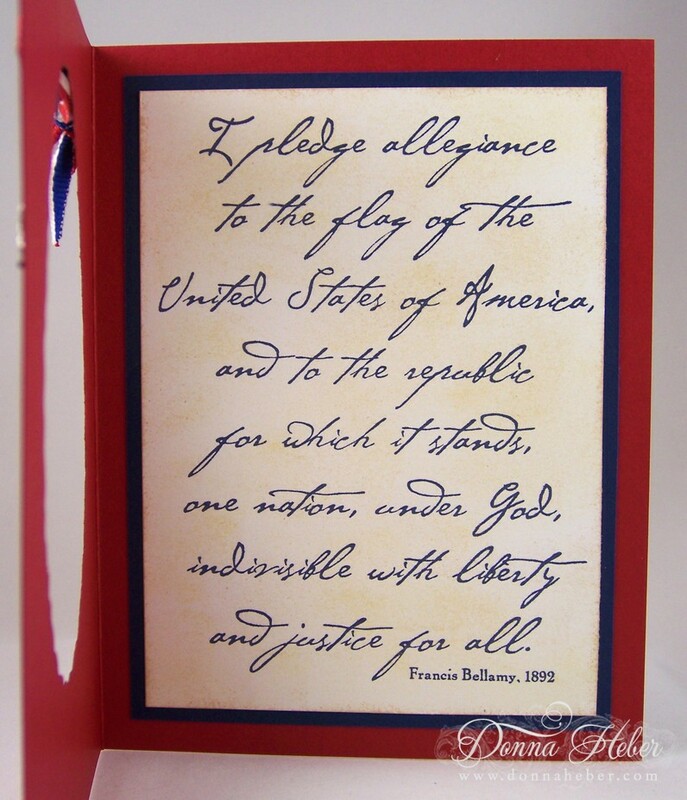 One of the most elegant patriotic cards I have seen this year. Love it! Great card! Love the cut-out in the front! Happy 4th! Happy 4th to you and your family Donna! Love your card and your post! God bless our troops! Happy 4th to you - great card!!! Hope you are able to enjoy the day in your garden. Hugs. Beautiful card!! And what a great tribute too. Love the card Donna. Beautiful as always. Don't we live in a wonderful country. I hope you enjoyed your holiday weekend. Your patriotic card hits the spot.